Guess the Movie Name from the given clues in the form of some pictures of Clothes that resemble the movie and give your answers in the comments. 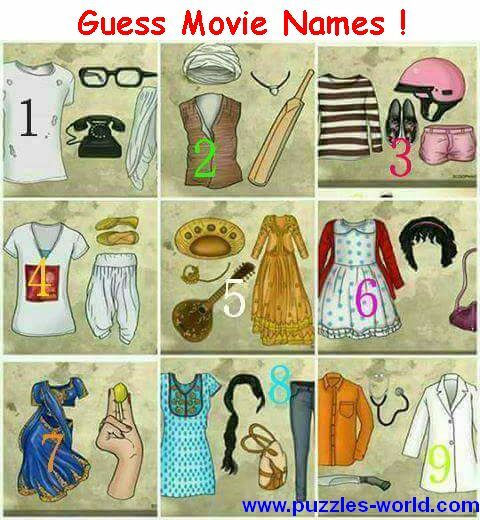 Lets see who can guess all the movie names correct. Share with your family and friends and see if they can guess all the movie names correctly.